Are you eager to do regular running and power working exercise but don’t want to go out in the wet weather or head to a packed gym? 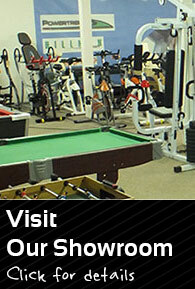 Would you much rather be able to do a high-intensive cardiovascular workout in the privacy of your own home? If space and time are an issue for you when it comes to exercise, this lightweight portable (foldable) treadmill from Bodyfit is a perfect solution. It provides all the features and functions of a health club treadmill, in a compact package that folds up for easy storage and plugs into a regular wall outlet. Make radical positive changes in your cardiovascular health and enjoy a greater range of movement thanks with strengthened joints, a leaner frame and increased flexibility with this 500 watt motorized folding treadmill from Electric Body. 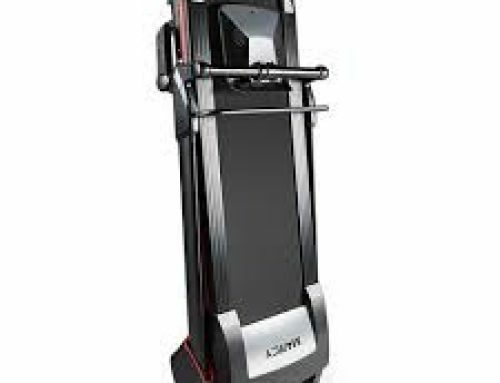 There are various automatic programs to choose from: from easy to intermediate and then more difficult settings for those with a higher fitness level that require a more demanding exercise cycles with greater resistance.You can also choose from 5 minute to 30 minute workout sessions, and increase the speed from 1 to 10km/hr. Whether it’s running or fast walking, this sophisticated home exercise machine lets you progressively hone your stamina, cardio and core strength. Your speed, distance, and the amount of calories you’re burning is displayed with an LED screen. Limited Space? Not A Problem. A convenient, folding design makes it easy to use this machine at home, the studio or at the office; once you’re finished with your workout simply fold up the motorized treadmill deck into its own arm supports, and the compact unit can then be easily stored away in your closet, under the bed, or placed neatly against the wall where it is out of the way until it’s time for your next cardiovascular treadmill workout. To fold up the treadmill for storage simply loosen the plastic bolt that fastens the deck to the base of the stand. Once it’s been folded up, this treadmill is completely flat, save for the handlebars than stick out only a few inches (and these can be taken off too if they prove to be inconvenient). The folded treadmill is about the size of a 55 inch flat screen TV ( or L120 x W62 x H121cm to be exact). The entire unit weighs around 25 kilograms, which is about the same as three bowling balls. So it’s a little on the heavy side if you need to have to carry it up some stairs, but also quite lightweight when you consider the quality and durability of its materials. At any rate, small castor wheels on the bottom of the frame make it easy to wheel the machine from its storage space to the space you use it. Treadmills are relatively safe, and there are far more injuries related to bicycle and jogging related injuries on a yearly basis. Nonetheless, people do get hurt while using treadmills and there are approximately 20 thousand emergency room visits every year related to someone becoming faint or otherwise falling while using a treadmill. If you do become weak at the knees or lose your footing while jogging on a treadmill you are much more likely to become hurt if the treadmill deck underneath you is still rotating at what could be high speeds. For that reason, you need a mechanism that immediately brings the machine to a standstill when there’s something wrong. 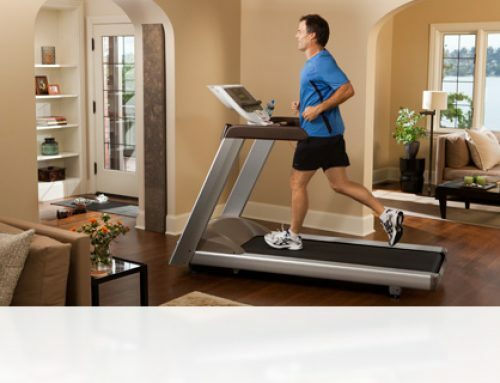 Fortunately, this Bodyfit portable treadmill for the home and office has such a feature. In the case that you should become faint or fall while using this motorized treadmill, there is a magnetic safety key located in the middle of the LED display. This magnetic safety key clips onto your clothing so in the case that you do lose your balance it detaches the magnet which in turn stops the treadmill and sounds an alarm. This novel safety feature shows just how much thought has gone into the design of this Bodyfit Motorised Electric Treadmill Folding Running Machine. 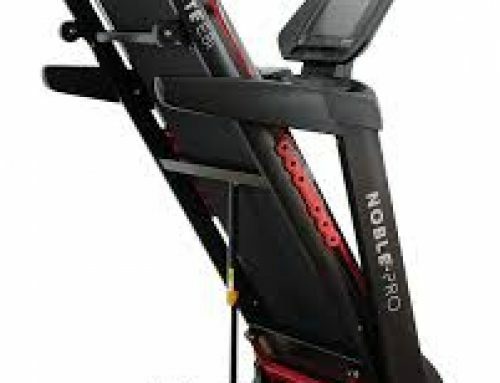 It’s one of the many aspects that sets it apart from so many of the other foldable home treadmills on the market. Granted, using a treadmill is very safe exercise and you’re unlikely to ever need this feature…but if you do need it one day you’ll be glad it’s there.